Inspired by the vibrant environments of Manhattan, the Hamptons and the Adirondacks. 4 Shoes in 1. 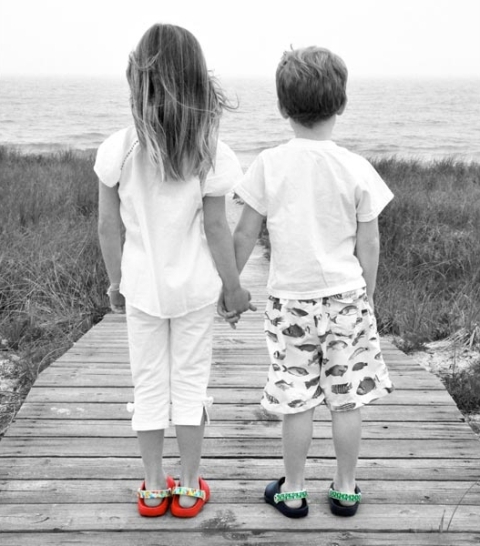 The folks at Bailey Berry™ have been on a two-year mission to create the perfect kid’s shoes. And they probably have! Never sacrificing on function, fun and cool –this footwear is actually four shoes in one! Kids can wear them on the street, at the beach –anywhere they want -especially in style. The patented Reversa Strap™ technology lets kids change the strap to change the look! Founded in 2010, Bailey Berrys and BB Stars™ are built to the highest quality standards.